The Scottish Licensed Trade Association welcomes the opportunity to further participate in the Scottish Government’s National Conversation on the introduction of a Tourism Tax/Transient Visitor levy. The SLTA counts within its membership all types of Licensed On-trade premises, in general pubs, bars and hotels, the majority of which are independent operators. The Association also represents bartenders and bar workers who hold a Scottish Personal Licence Holders Certificate. In 2018, the Association was a co-signature to a Hospitality Industry Joint Statement on the issue of a Tourism Tax/Transient Visitor Levy and the key points against the introduction of such a tax raised then, still remain. “While a tourism tax/visitor levy may work well for tourism businesses, destinations and local authorities in other global destinations where the level of VAT on tourism services is lower than that of the UK, the idea must be examined within the context of: the UK having the second highest VAT rate in Europe at 20% and only one of three countries which does not have a reduced rate for accommodation; the challenges which exist to the imposition of an additional tax; the impact on price-sensitive visitors and indeed the impact on businesses already coping with the ‘perfect storm’ of rising costs that tourism businesses in Scotland currently face. Whilst the exchange rates are currently favourable for our international markets this may not persist beyond the short-term and the fact remains that around 60% of Scotland’s tourism spend comes from our already squeezed domestic visitors. Any further tax or levy applied could seriously dilute this market. The UK is second from bottom in the World Economic Forum ranking, 135/136, when measured solely on international tourism price-competitiveness; this is in stark contrast to its overall ranking of 5th in the world when the full range of international tourism indicators are included. This underlines that the introduction of a tourism tax or any such visitor levy would further reduce the competitiveness of our already heavily taxed sector relative to competitor destinations. Any new tax on tourists or the businesses serving them could ultimately have a potentially devastating long-term impact on Scotland’s tourism industry and local economies which could lead to potential job losses. It would also, in our opinion, negatively impact businesses, beyond the accommodation sector that would be expected to collect any tourist tax, that rely on the tourism economy by reducing visitor spending right across the industry; in pubs, restaurants, shops, cafes, visitor attractions and entertainment venues. Having recently participated in the Edinburgh City Council Transient Visitor Levy (Tourist Tax) On-line Consultation, the SLTA has further concerns. If a TVL is introduced, it must be realised that many business sectors, other than accommodation providers, benefit from tourist spend so any TVL should not be solely directed at this sector. Targeting accommodation providers is disproportionate when other sectors have a greater impact on resources and the local infrastructure. If a TVL is introduced solely for accommodation providers, what will be the actual definition of an accommodation provider? Alcohol licensed accommodation providers already pay a disproportionate level of commercial rates compared with any other business sectors and already contribute to BIDs and other initiatives to attract tourists to the city. What other sector contributes 8.5% of its turnover in commercial rates? The Year of Scotland’s Coasts and Waters will be celebrated in 2020. What will a TVL do for that? Will cruise liners be charged a TVL? Already there are reports that MSC cruises will no longer stopover in Amsterdam due to a new tourist tax being imposed. In addition to cruise liners, will small yachts/private boats be subject to a TVL? To use Edinburgh City as an example, only about a quarter of visitors actual stay overnight in the capital, what about the vast majority that visit the city, but do not book accommodation, perhaps staying outwith the city to avoid any TVL, yet still place a burden on the city’s services and infrastructure. To use Edinburgh City as an example again in the Council’s presentation on a TVL and its current position on the resources raised, it stated that priorities from additional areas of spend could include Transport, Theatres, Museums, Galleries, Additional Events or Festivals. Why then are these venues not being included in any proposed TVL? These are the ones that will directly benefit. One of the priorities also listed was “Council Services in General”. If any TVL is introduced then this should not be used to offset council reductions in general services. Promises of ring fencing revenue raised to promote tourism means nothing unless it is “additional funding” and not an avenue to deliver council budget cuts. Administration of a TVL scheme is another issue. How will this be funded? Who will be responsible for the administration? Will a mandatory registration scheme need to be set up to enforce compliance? How will the level of a TVL be set in the future? The Scottish Government has a longstanding commitment to reduce Airport Departure Tax by 50 per cent to help tourism and business in general. It would be more than just a bit ironic if the same Government then allowed for a Transient Visitor Levy to be imposed. Considering Marketing Edinburgh’s research on whether a Tourist Tax would deter visitors to the capital, 78 % of visitors said it “might not” deter them. That still leaves 22% who said otherwise and if even a small proportion of those chose not to visit the capital, the negative impact would be considerable to the city’s economy. In summing up, the Scottish Licensed Trade Association’s view on introducing a Tourism Tax/Transient Visitor Levy is simply that an additional revenue stream for local councils will be created to raise revenue, for purposes other than it would seemingly be intended for. Tourism is one of Scotland’s growth industries and does not need any obstacles if it is to deliver further job creation, economic growth and contribute to many of the campaigns promoting Scotland as a major tourist destination. 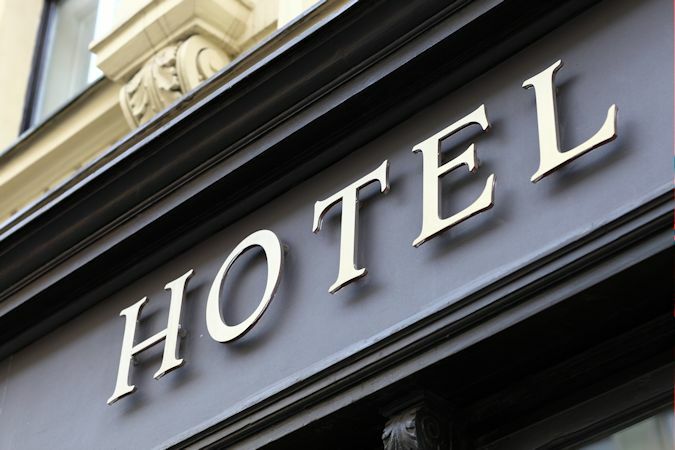 If introduced, a TVL should not be focused solely on accommodation providers unless mitigated by a reduction in VAT levels for accommodation and a reduction in overall business rates.